Ronald Hall's paintings are a kaleidoscopic fusion of urban energy, figurative and narrative by nature. Growing up amidst the crime ridden neighborhoods of Pittsburgh, led him to see art as both an informative and educational teaching tool. Born out of stories of fictional and or non-fictional perspectives of an African American artist, his paintings attempt to challenge the viewers interpretation of what contemporary black art is. Ronald's work has been exhibited in numerous galleries and art museums internationally and throughout the US. A 2016 Skowhegan School of Painting and Sculpture alumnus, Ronald also studied Illustration at the Art Institute of Pittsburgh. 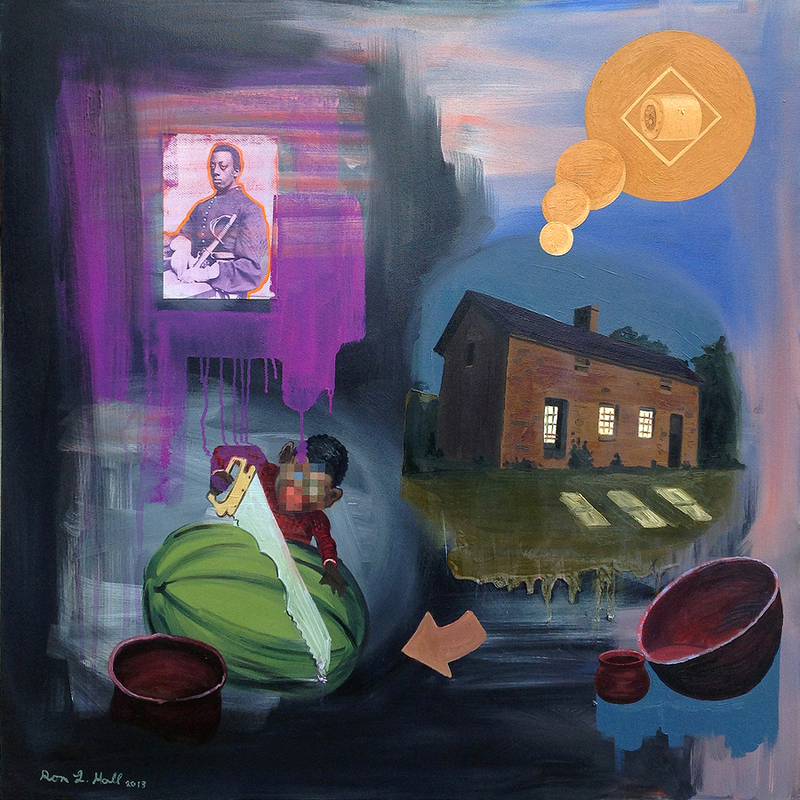 Ronald is currently working on a new body of work that will include Video and painting, and will continue to explore issues and themes that are affecting African Americans and popular culture within historical and contemporary contexts.